Researchers from the Universities’ Police Science Institute and Crime and Security Research Institute have conducted the first independent academic evaluation of the use of Automated Facial Recognition (AFR) technology across a variety of major policing operations. The project evaluated South Wales Police’s deployment of Automated Facial Recognition across several major sporting and entertainment events in Cardiff city over more than a year, including the UEFA Champion’s League Final and the Autumn Rugby Internationals. The study found that while AFR enables police to identify persons of interest and suspects where they would probably not otherwise have been able to do so, considerable investment and changes to police operating procedures are required to generate consistent results. Researchers employed a number of research methods to develop a ‘rich picture’ and systematically evaluate the use of AFR by police across multiple operational settings. This is important as previous research on the use of AFR technologies, has tended to be conducted in controlled conditions. Using it ‘on the streets’ and to support ongoing ‘criminal investigations’ introduces a range of factors that impact on how effective AFR is in supporting police work. The technology works in two modes: Locate is the live, ‘real-time’ application that scans faces within CCTV feeds in an area, looking for possible ‘matches’ against a pre-selected database of facial images of individuals deemed ‘persons of interest’ by the police. Identify, on the other hand, takes still images of unidentified persons (usually captured via CCTV or mobile phone camera) and compares these against the police custody database in an effort to generate investigative leads. Evidence from the research found that in 68% of submissions made by police officers in the identify mode, the image was not of sufficient quality for the system to work. Over the period of the evaluation the accuracy of the technology improved significantly and police got better at using it. The system was able to correctly identify a person of interest around 76% of the time. 18 arrests were made during ‘live’ deployments during the evaluation, while in excess of 100 people were charged following investigative searches during the first 8-9 months of the AFR Identify operation (end of July 2017-March 2018). 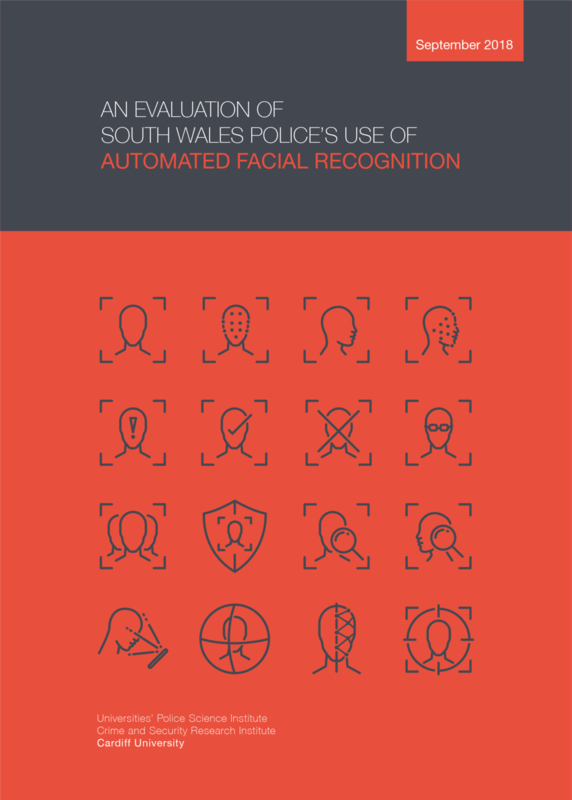 The report suggests that it is more helpful to think of AFR in policing as 'Assisted Facial Recognition' than a fully 'Automated Facial Recognition' system. ‘Automated’ implies that the identification process is conducted solely by an algorithm, when in fact, the system serves as a decision-support tool to assist human operators in making identifications. Ultimately, decisions about whether a person of interest and an image ‘match’ are made by police operators. It is also deployed in uncontrolled environments, and so is impacted by external factors including lighting, weather, crowd flows.